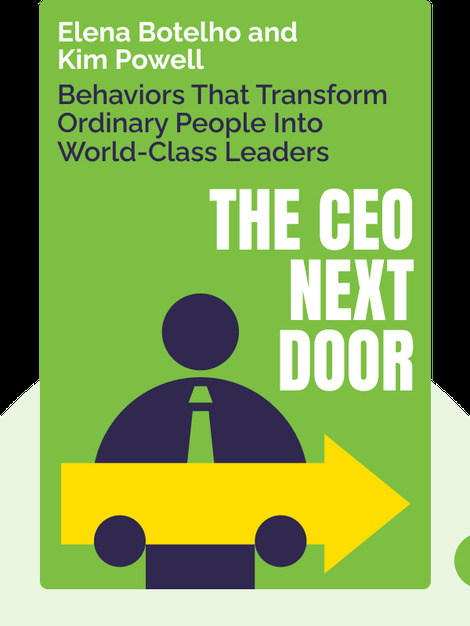 The CEO Next Door (2017) takes a look at what separates a good CEO from a great one. Backed up by extensive research headed by the authors, it proposes that ordinary people can become leaders of large, successful companies, and details the steps involved in climbing that corporate ladder. 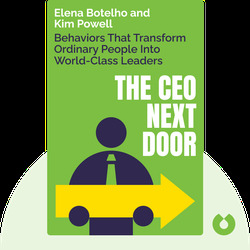 Elena Botelho and Kim Powell both have backgrounds in business, which led them to work on ghSMART, the biggest-ever study on the personality and mentality of world business leaders. Botelho and Powell also advise leading CEOs and senior executives.